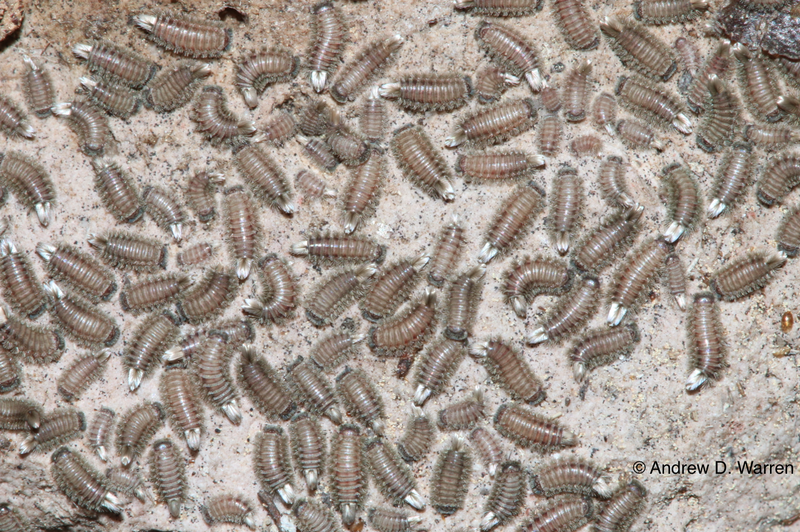 Gregarious Overwintering Masses Of Millipedes Are Protected By A Mechanical Weapon! Every day in the field provides opportunities to learn something new, and this past Tuesday was no exception! 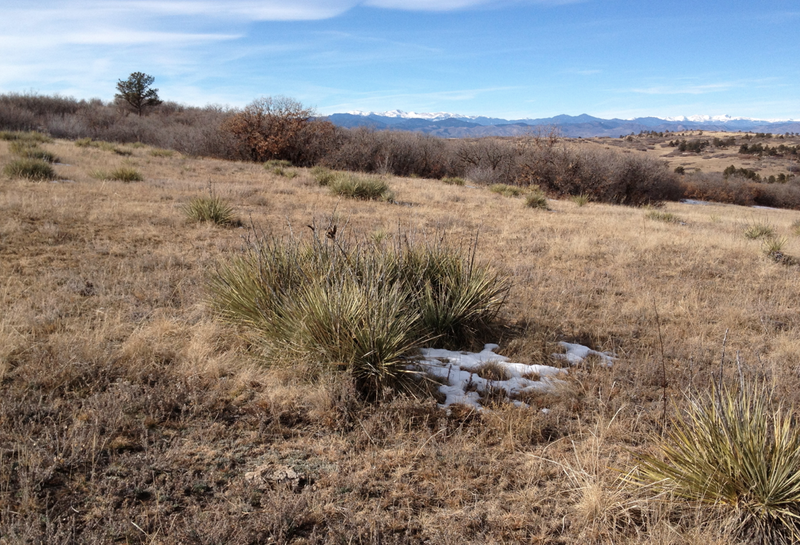 Thrilled to be back in Colorado, and surprised to have encountered such warm weather in December (it reached 62 degrees F), I wasted no time getting out into nature, at a site I’ve been surveying since 1998. There were still scattered patches of snow on the ground, but most of the landscape was dry and navigable, overlooked by the majestic Rocky Mountains of the Colorado Front Range. Entomologists are always looking under rocks and fallen wood, and over the years, I’ve learned which are the “best” rocks at the site for finding cool invertebrates. 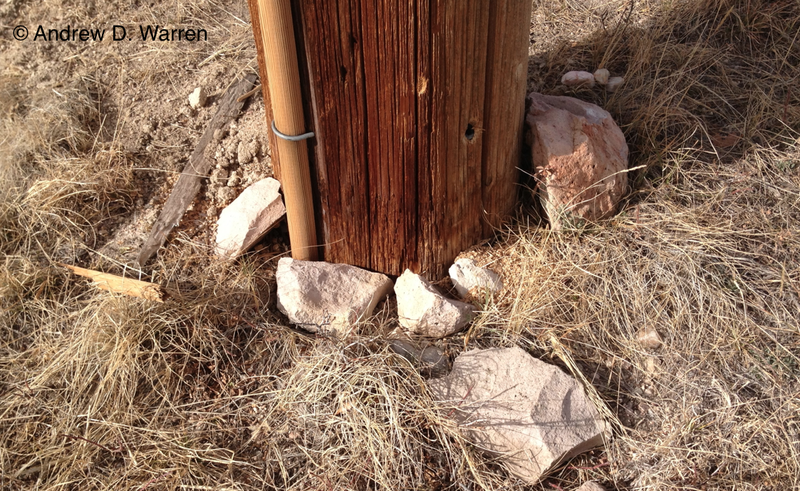 This set of rocks, at the base of a large wooden pole, have traditionally been some of the most productive rocks here. These rocks, along the ridge near Hidden Pointe, almost always provide some neat arthropod surprises, no matter the season! As I flipped the first rock, I was amazed at what I saw! Hundreds, if not thousands of tiny, fuzzy, worm-like minibeasts! I had never seen these critters before, and had no idea what I was looking at. Their size, and the way they moved, reminded me of dermestid larvae (carpet beetles), but the whitish tufts on their posterior ends seemed a bit off. I proceeded to photograph the mass of fuzzy little creatures, and was astonished to find similar masses under three additional rocks! As soon as I returned home, I emailed the above photo to one of the most knowledgeable entomologists I know, Ted MacRae, who is also one of the world’s top Coleopterists. If these were dermestid larvae, surely Ted would know. Ted’s reply, which arrived in just a few minutes, blew me away! He identified them as millipedes in the family Polyxenidae. Wow! I’m sure I would have realized they were not beetle larvae had I put one under the microscope and given it a good look, but I rushed to send off the photo first… After some subsequent research online, I was able to determine these as members of the genus Polyxenus, probably Polyxenus lagurus. I’m certainly no millipede expert, but from what I’ve been able to find, polyxenid millipedes are not well known. What is known about them, however, is pretty amazing! While most millipedes defend themselves with noxious chemicals, polyxenid millipedes defend themselves with a “mechanical weapon”! Research by Thomas Eisner and collaborators demonstrated that the whitish tufts on the posterior ends of these millipedes are composed of detachable bristles, which are used to immobilize potential predators, especially ants! Each bristle includes a barbed shaft, and several hooked prongs at the tip. When provoked, the millipedes project the tufts towards the attacker, which then detach, and get caught on the mouthparts, antennae, legs and setae of the antagonist. In the effort to cleanse themselves of bristles, predators such as ants only entangle themselves more thoroughly in the bristles. The panic-stricken struggle to rid themselves of bristles is usually futile, and the resulting entanglement of bristles can leave the predators completely immobilized, often terminally! This defense perhaps explains the benefit of overwintering in large, gregarious masses! This entry was posted in Uncategorized and tagged Colorado, December, gregarious, mechanical defense, Millipedes, Rocky Mountains on December 20, 2013 by LepScience. Great post and fantastic photos. I’ve been anxiously waiting to see how it turned out. I’m jealous that you got such great group shots. The one photo I got, I didn’t realize they were in the photo until after the fact when enlarged on the computer. Did you find any literature on the aggregating behavior?